With God’s Grace held their 1st annual Fundraiser Dinner at the Dayton Club, We would like to thank all 48 guests for coming out last night to help fight hunger in our community. Your support helps provide food to 4000 families each month. Thank you for helping make sure no one goes hungry in our community. 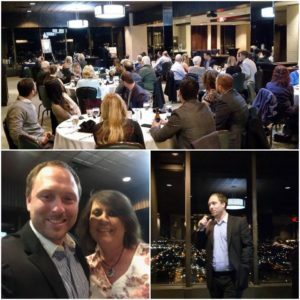 With God’s Grace would like to personally thank Michael Fisher and Dayton Club for hosting a wonderful event last night. Thank you for supporting With God’s Grace and making a difference in our community by fighting hunger. With God’s Grace need your help this Christmas Season!!! With God’s Grace need your help this Christmas Season…We were notified on Monday, the local toy company that has donated toys each year for us to bless over 2500 kids are closing their doors in December. Due to the closing of their business, they will not have their yearly toy donations we usually receive each year. With Gods Grace needs the community support in helping to collect over 2500 toys this year!! 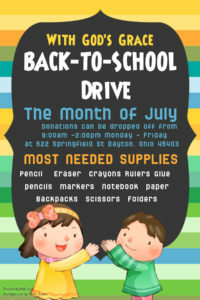 We are asking Churches, Business, Corporations, Families, Girl Scouts, Boy Scouts, Athletic groups. 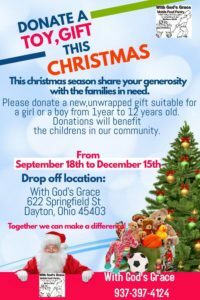 Social groups to hold a New Toy Drive this year for With God’s Grace. 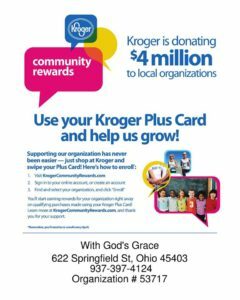 With Gods Grace needs your help…Do you have a Kroger Plus Card? Did you know that Kroger will donate a % of all of your purchases to With God’s Grace charity? Please link it to Kroger’s Community Rewards program to help feed our local community! It takes about 30 seconds, and with every purchase, you’ll be helping us feed more families each month. You can also enroll by calling 1-800-576-4377, option No. 3. Once you’re enrolled, Kroger will donate a percentage of your purchase back to us each time you use your Kroger Plus Card. 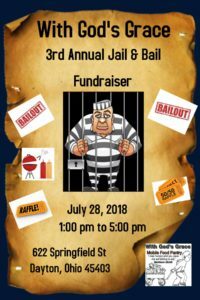 Thank you for your support, please share with others to help feed the local community.